Mardi Gras, also called Pancake Day, Pancake Tuesday, Shrove Tuesday and Fat Tuesday (Mardi Gras is French for "Fat Tuesday"), is the last day of feasting before Lent begins on Ash Wednesday. 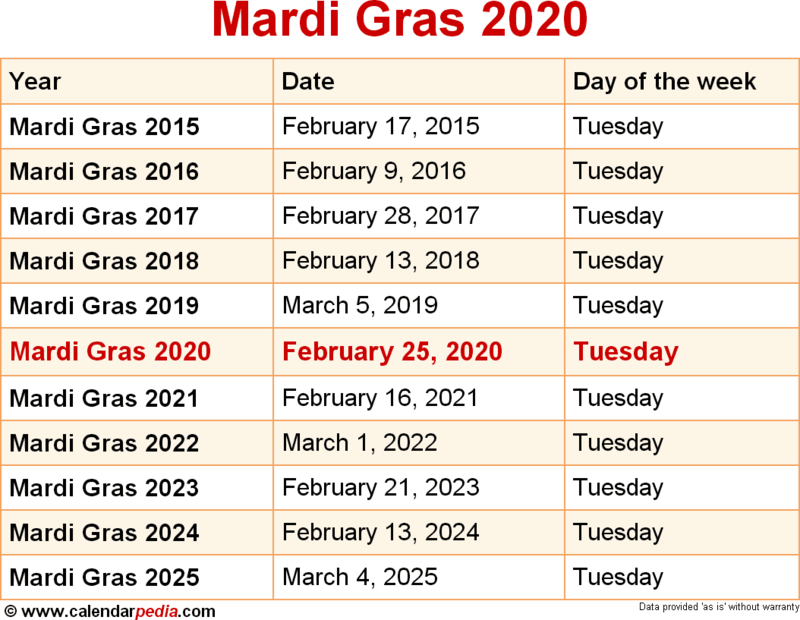 Mardi Gras depends on date of Easter (it always falls 47 days before Easter Sunday), a moveable feast, meaning the date of Mardi Gras also changes every year. It can vary from as early as February 3rd to as late as March 9th. 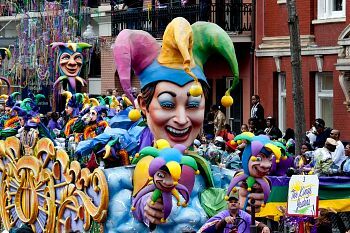 While there are carnival festivals in many countries on Mardi Gras, in the English-speaking world the term "Mardi Gras" is particularly associated with the carnival celebrations in New Orleans, Louisiana, USA. 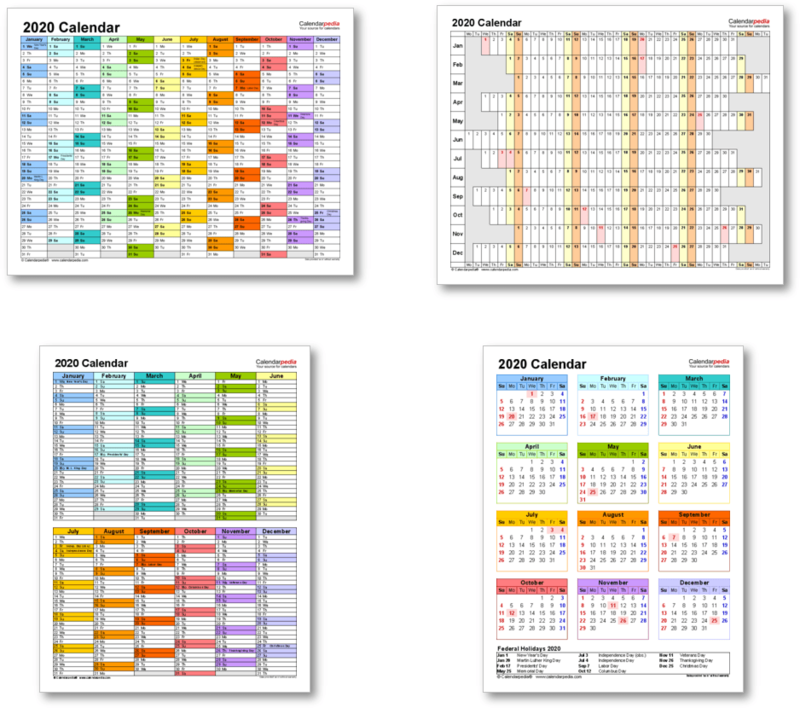 Recently it has evolved to refer to the whole period of festivities, not just the single day of Mardi Gras. The next occurrence of Mardi Gras is marked in red.